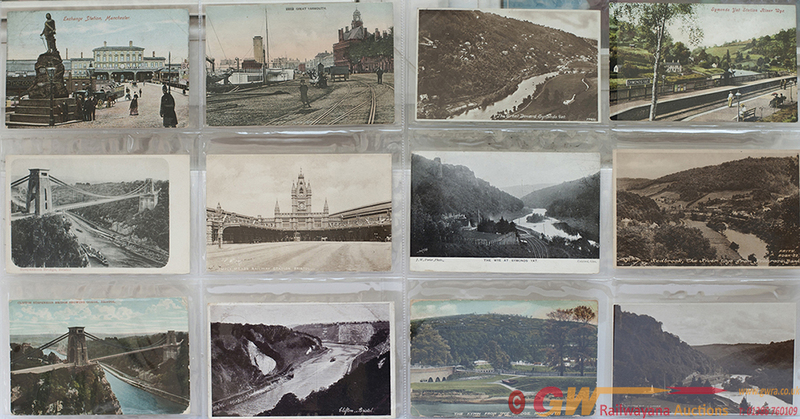 A collection of 396 railway postcards displayed in an album. Views of bridges, locos, stations etc. Some commercial F.Moores, Valentines, Salmon ABC, and Tucks noted and the following officials; 7 G&SWR, 12 LYR, 21 LNWR, 6 GWR, 12 GNR, 4 MIDLAND, 6 GER, 7 FURNESS, 5 NORTH STAFFS and 2 GN PICCADILY & BROMPTON RAILWAY.